To help answer these questions, in this first of two posts on the robo phenomenon, I’ll take a closer look at robo-advisors vs. human advisors—starting with an examination of whether they are even in the same business. The [railroad] industry is failing because those behind it assumed they were in the railroad business rather than the transportation business. They were railroad oriented instead of transportation oriented, product oriented instead of customer oriented. This begs the question, what business are you in? Is it managing investments? Managing client relationships? 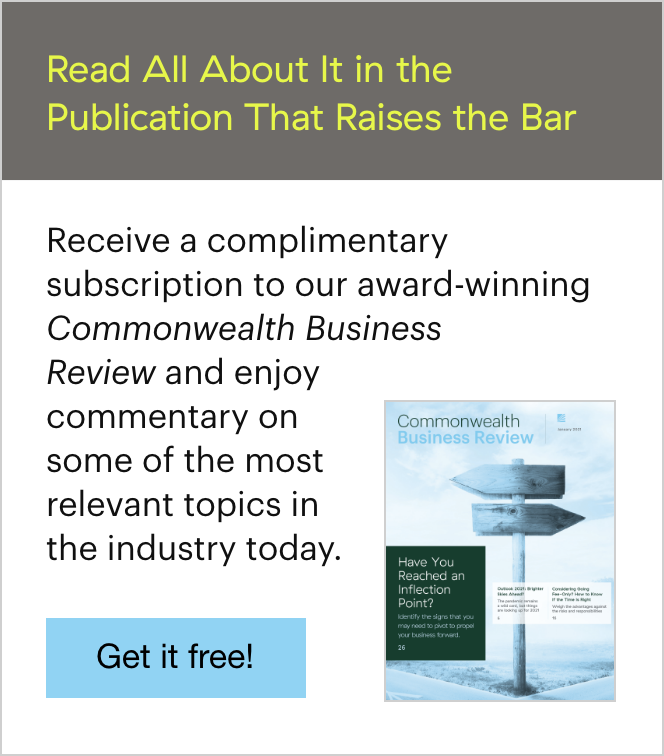 For the majority of financial advisors—and Commonwealth advisors in particular—I would argue that the answer is patently apparent: financial advisors manage clients. You offer advice and counsel customized to each client. 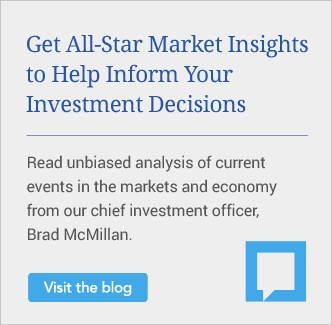 This personalized guidance delivered through a personal relationship goes beyond data-driven discussions of portfolio analytics and market forecasting. Investment portfolios and other sundry financial products are merely the tools of your trade. But without you, their efficacy in assuring that clients reach their goals is akin to that of having a hammer without a skilled carpenter. To return to Professor Levitt, financial advisors are failing if they assume they are in the investment management business rather than the client relationship business. But can the same be said about the business of robos? I would suggest that these firms aren’t in the investment management business either. In fact, I believe robo-advisors are quite certain about the business they are in—the disruption business. Robos are fundamentally technology products. Their nature necessitates that they remain focused on technology rather than on investments or clients. It's actually impossible for robos to focus on individual clients when they need massive client volume to survive. But being very cheap means Betterment and Wealthfront need lots of assets to turn a profit. Their AUM [assets under management] of roughly $2.9 billion each, accumulated largely in the past two years, delivers revenues of $7 [million] or so a year. That is not enough to sustain around 100 staff each as well as hefty marketing budgets. . . . The two firms’ venture capital backers, which have poured over $100 [million] into each, expect initial losses. But even they will hope for profits in years, not decades. The chart below further illustrates this point. 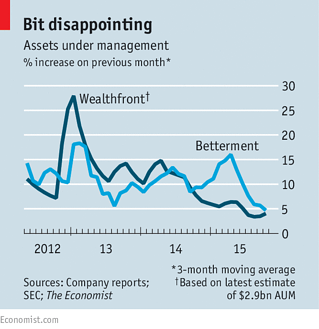 A look at the AUM for both Wealthfront and Betterment from 2012 through mid-2015 suggests the firms are experiencing difficulty in the race to reach the scale so critical to their business model. Robos that cater to retail investors might not be fully transparent about these challenges, but their recent strategic moves tell a different story. In fact, they suggest that robos are aware that being a low-cost technology play puts them at a substantial disadvantage compared to their human counterparts. Both statements seem reasonable, relating to the notion that personalized engagement is the most critical component of helping clients achieve their goals. But they also could be viewed as a tacit admission that—without the guidance of a real financial advisor—Betterment’s robo platform can take clients only so far. Recent merger and acquisition activity also provides a compelling case that pure robo platforms, absent a real financial advisor, are unlikely to deliver for either clients or their private equity investors. Let’s look at another real-world example. Larry Raffone, the CEO of Financial Engines, after seeing unprecedented panic and confusion during the 20-percent decline of the S&P in August 2015, acknowledged that Financial Engines account holders told him they would love to stay but needed access to broader services—particularly during times of extreme market volatility. “People are leaving at the wrong time [and] for the wrong reasons,” he told RIABiz. In closing this first post, I think a parallel from another business—the weight-loss industry—provides a useful comparison. Losing weight is simple, in theory: eat less and exercise more. Yet anyone who has ever tried to lose weight knows it is anything but easy. Metabolic considerations, medical history, and food allergies are just a few of the many considerations that should be factored into a plan for long-term results. Still, there are thousands of DIY products out there promising success while failing to address these factors in a personalized or customized way. In this comparison, things like diet pills, infomercials, and even smartphone apps are the robo-advisors of the weight-loss industry. Advisors like you, on the other hand, are the equivalent of personal trainers who synthesize multiple disciplines within the health and wellness spectrum in crafting a customized plan for each client. In tomorrow’s post, I’ll take a closer look at what robos do well, including some valuable lessons for financial advisors. Do you think the robo-advisor presents a real threat to your business? 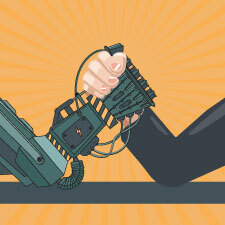 What do you see as the key differences between the services you offer and those offered by the robos? Please share your thoughts with us below.